Anyhow, let's start with the review, shall we? Notable ingredients: BHA, Tannin and Menthyl Lactate. 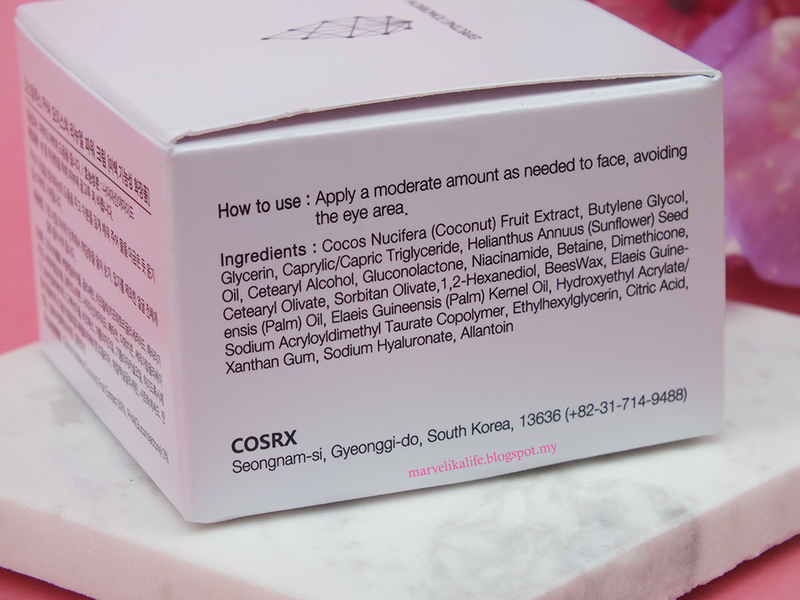 Minimal packaging design as usual from COSRX. Just like a lot of COSRX products, this also came in this pump tube. 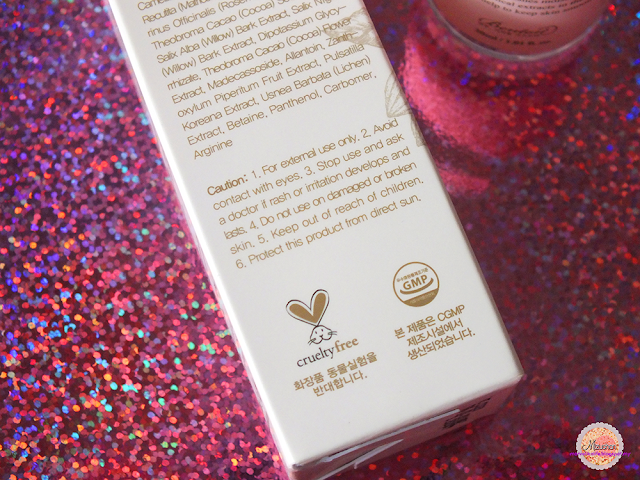 I would say that this has the essence texture, which is easily absorb into the skin. 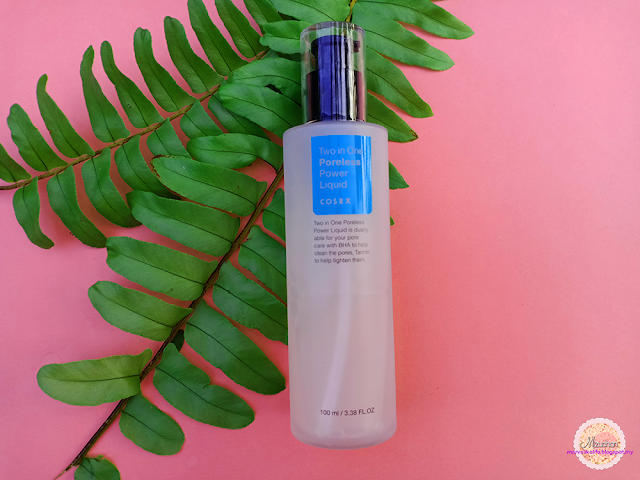 I uses this as the second step in my skincare routine because it is quite runny and would absorb better in fresh skin more than on top of other skincares. 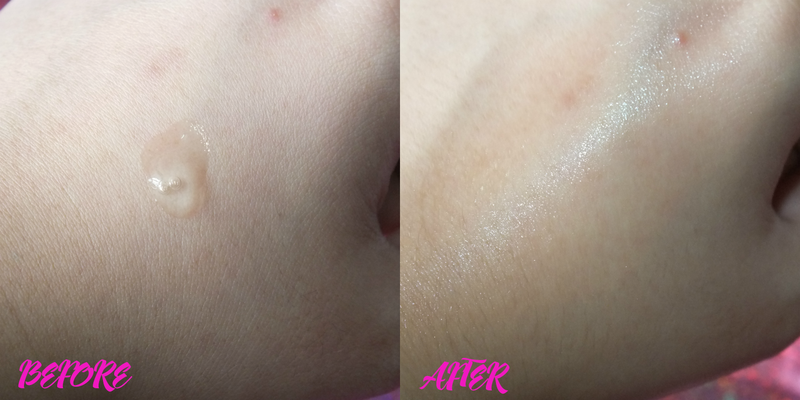 It does feel cool once I applied the essence on and I did like it because it cools down the temperature of my skin thus making it less oilier. 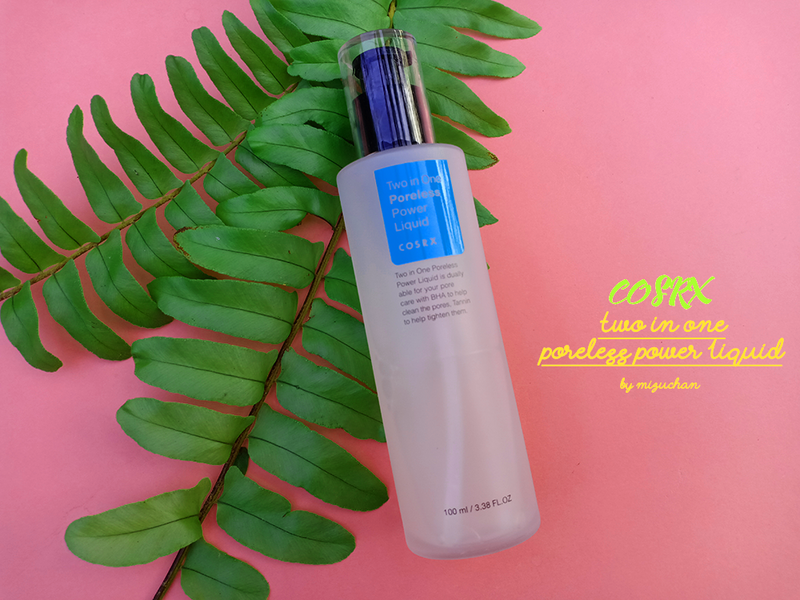 The tannin and BHA is surely a plus point of this product although I had to cut off a lot of BHA skincare to give way to this so that I don't over exfoliate. I read from Sokoglam that this essence can be used after blackhead extraction or to calm any redness. Although I don't really do blackhead extraction because I barely got any (from a good skincare of course!) so I expected it to calm my redness that usually got after face wash. So far, I don't really see a major difference like I'm not really sure what it actually does to my skin in these two months because my skin were quite behaving because I don't see much redness nor acne coming out that often but I do like the fact it feels cool on the skin and feels like it "tightens" my pores in the morning before I put on my makeup. But I do think that it contributes to my "behaving" skin as I see less whiteheads and blackheads were pretty much nonexistent. Overall, this is pretty nice! It doesn't break me out or sting my skin and it absorbs pretty well too without much effort. The thing that I like the most if cooling effect it has from the menthyl lactate, although it disappear after a while. Hey guys! 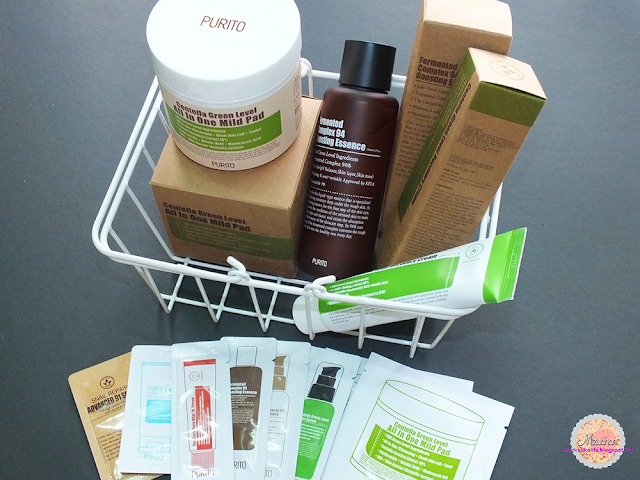 I was chosen to review the StyleKorean Try Me Box which they featured a certain brands and asks the public, mostly bloggers/ yt-ers to review the products set in a certain time and give a verdict. 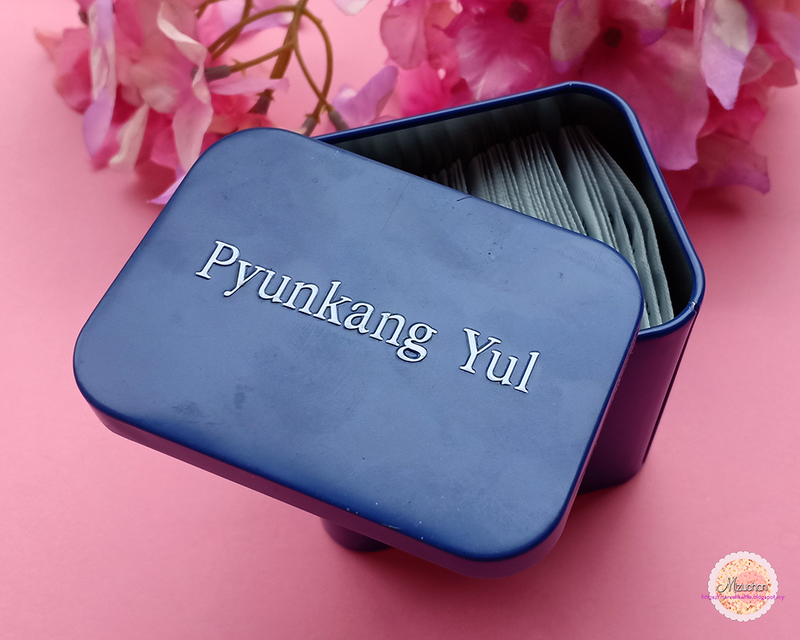 So I tried applying for this box since I wanted to try Pyunkang Yul for so long and luckily I was chosen! Yayyy! 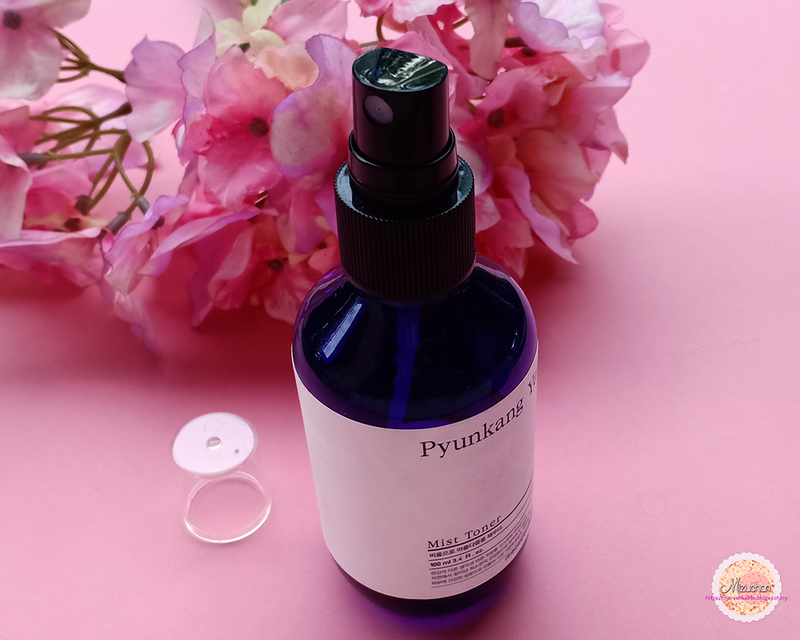 So I've tried for for about more than a month and it's time to share what I thought about these popular products in Kbeauty right now, Pyunkang Yul. The brand targeted people with sensitive skin or atopic skin where the product itself is very mild to these type of skin. I figured that I can have sensitive skin on some days so that's why I need to try this! :D Moreover, I would rate their packaging 100% because it was simple, cool and cute! So let's start with the review! I used this as a toner after cleansing my face and honestly, I love every toner that came in a mist bottle because it is so convenient. Basically I'll spray generous amount on face and pat it on to let it absorb faster. The toner itself did have a very pleasing smell which is not that strong nor I can detect what it was, it was a split second smell after spraying XD but it was very pleasing to my nose and I love it. It is actually just like the other mists out there, not that hydrating but enough to supply a little hydration after cleansing the face. It did dry quite fast since there isn't much moisturising properties in it. Like honestly, this is weirdest serum texture that I have ever tried in my life. It feels liquidy but rubbery at the same time(? ), not sure how I could describe that properly but it's true that it's so weird. No scent detected and since it is quite thick, I do find that I need like a few drops of it to cover my whole face. The dropper is a little tricky though. I hate it because it only could pick up so little thus I had to go back and pick it up again but I do blame that on the liquid texture which don't suit well with the dropper. Could have use a better packaging method. The "Ato Cream Blue Label"
I had an expectation that I was not gonna like it when I pump it once but when I applied on the face, it just spread so well and it doesn't make my face sweaty! Oh yassss! Coz some creams tends to make my face "sweaty", which feels like it blocks my pores but this is not. 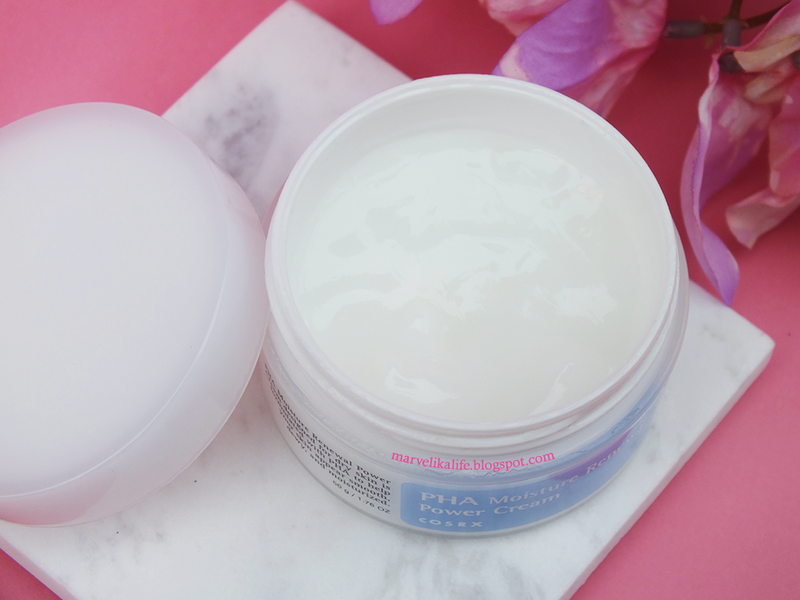 It moisturizes so well and anybody who likes light cream might love this. 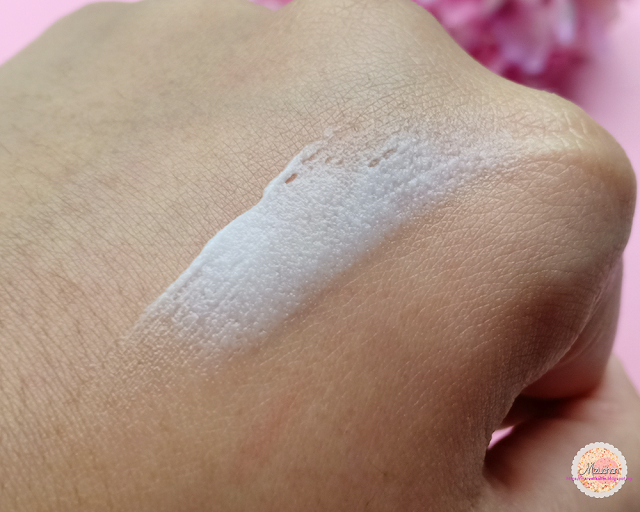 Since I love heavier creams at the current time, I do feel that this lacks a little moisture but still quite nice. There's no smells whatsoever and it doesn't break me out either. So far so good. I'm loving every pumps of this cream coz I expect that this would run out fast than the other two products above. This is such a unique packaging. Eye cream in a sheet! I do find that it is pretty cute with the case and white bag(not in pic). But it creates an extra trash for every single time I had to open a new one to use. Usually one sheet could last me three uses so I think this much could last me for sometime. The texture is almost similar to vaseline or a little wax-like. Like for example, it will harden once it open to the air for a long time. There is also quite a chemical smell to it when I sniff it, but you can really tell once you put in on the under eye. It is very moisturising and lasts for quite a long time. I do find that it mosturise my eyes pretty well when I'm asleep but not so much on the day when I had my makeup on. The cream absorbs pretty well too without leaving any weird texture to it and so far, I only notice that it provides moisture but done pretty much none to my dark circles nor my under eye wrinkles. Overall, it's still nice although there is a little results with it. I do love these products although there's a bit here and there that I don't prefer and honestly these are so mild that it never irritated my skin but instead calming any redness nor pimples-to-be. 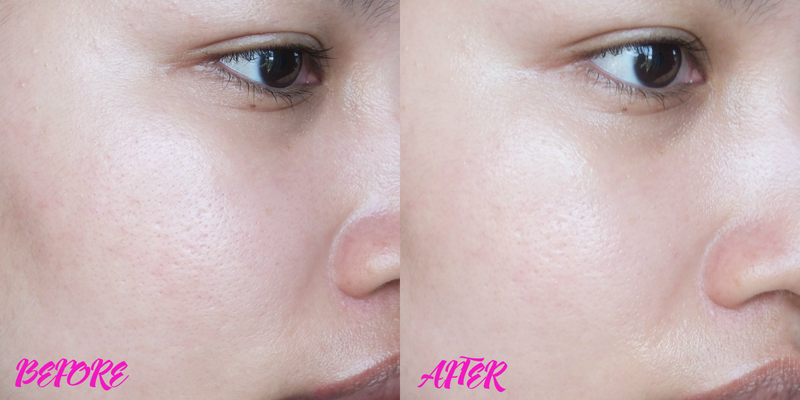 I had less frequent pimples appearing on my skin in a month that I continuously using them and I was pretty happy with it! I vote this as worth a try! 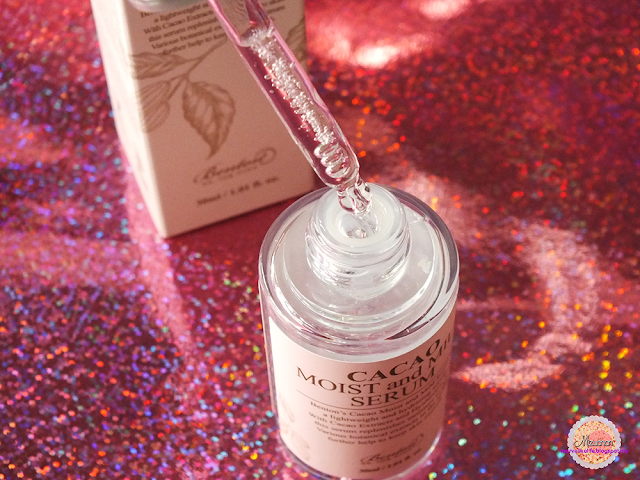 So I've been so excited to share my review on this NEW RELEASED serum from Benton Cosmetics! I saw that they are recruiting for reviewers and I tried my luck and just happen to be selected! Yeay! Although this serum is almost confiscated by my local custom because they said I import illegal cosmetics from outside which I have been doing for years and it was fine. I guess it had something to do with DHL a.k.a expensive shipping so guys, avoid DHL at any cost because your products might get into a problem. 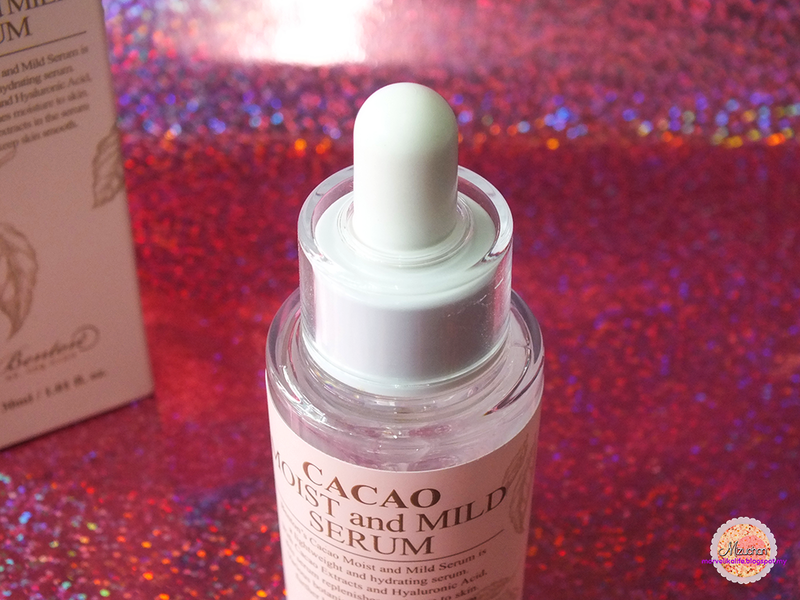 Anyway, I was so excited when I saw they're releasing the Cacao Moist and Mild in a serum because I also have tried and reviewed the cream here and it was amaaaaazinnnng! Without further ado, let's get into the review! 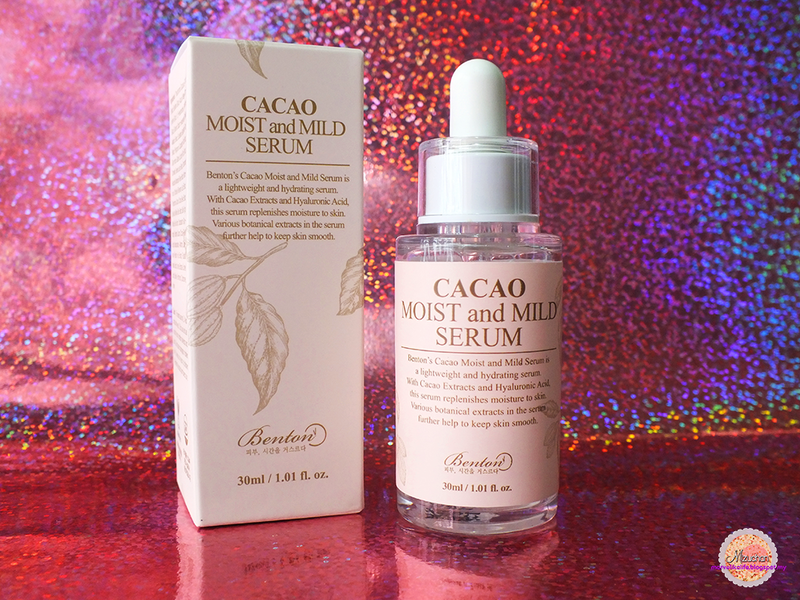 Benton Cacao Moist and Mild Serum is a lightweight and hydrating serum. 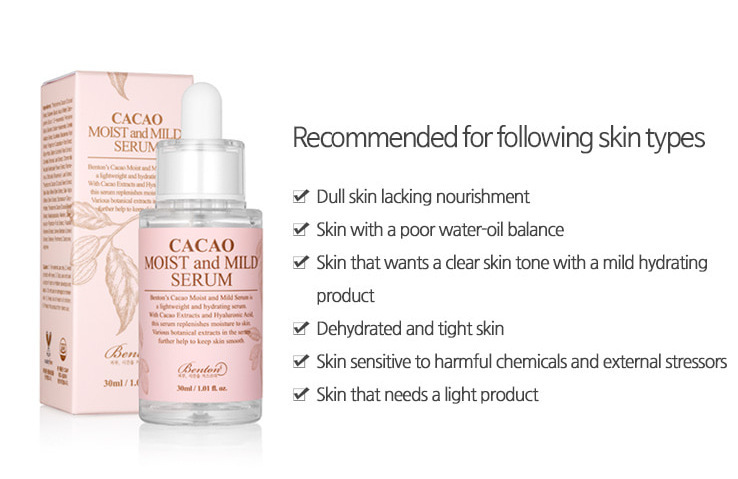 With Cacao extracts and Hyaluronic Acid, this serum replenishes moisture to the skin. Various botanical extracts in the serum further help to keep skin smooth. Almost resemble emulsion consistency but once it is spread on, it turns to water. I'm not sure if you guys can see it but my pores are disappearing in the 'after' picture. 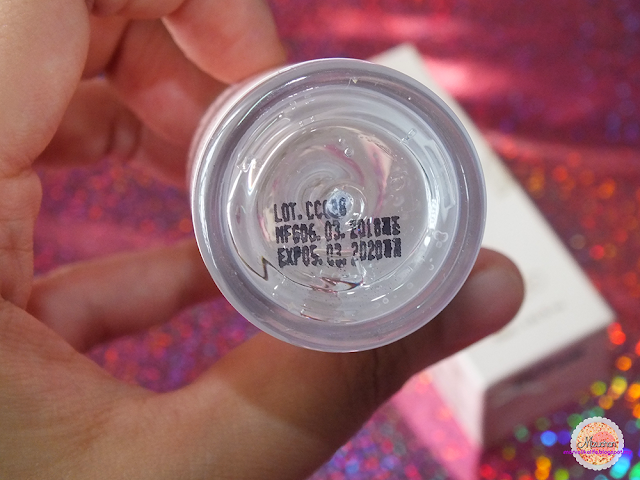 The serum came in a clear glass-looking plastic(?) dropper bottle and honestly it legit and feels like glass. 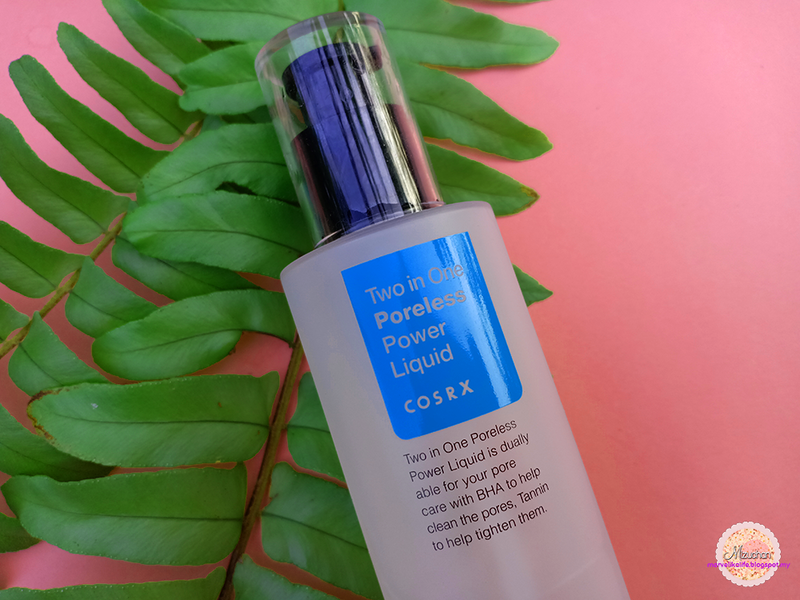 I have tried this serum for about two weeks now and honestly, I think this would be a great serum for a simple skincare. On days where I'm having a bad skin where I don't want to put too much of a product on my skin, this would be a great substitute. It is very lightweight. 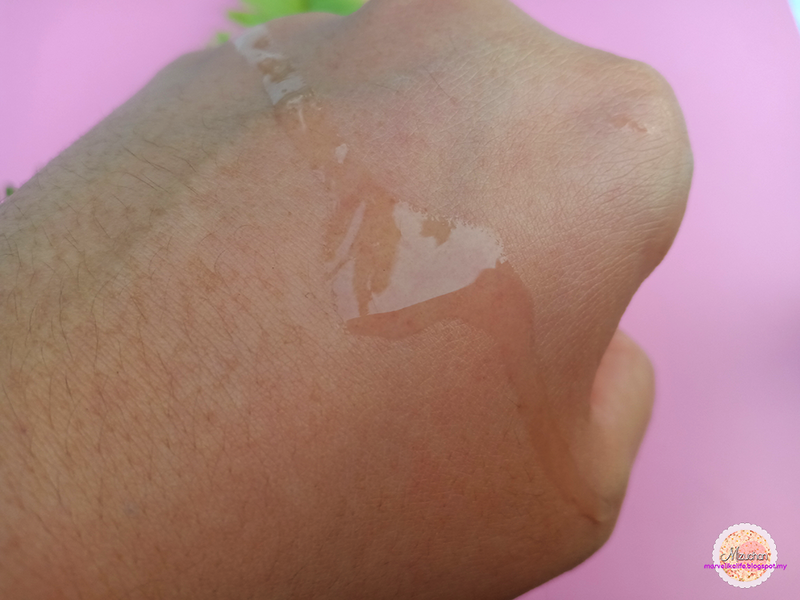 The consistency almost looks like emulsion when I first put a drop on my palm but then it spreads like water and absorbs quickly into the skin. 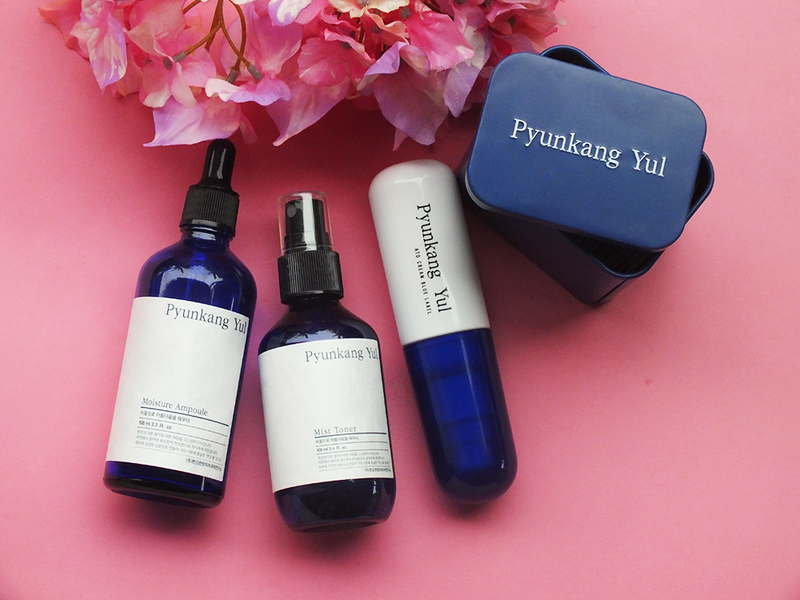 It feels very hydrating, enough to hydrate combination to oily skin especially in these hot summer days. It won't make my sebum got worse on the day and wouldn't mess with my makeup either. 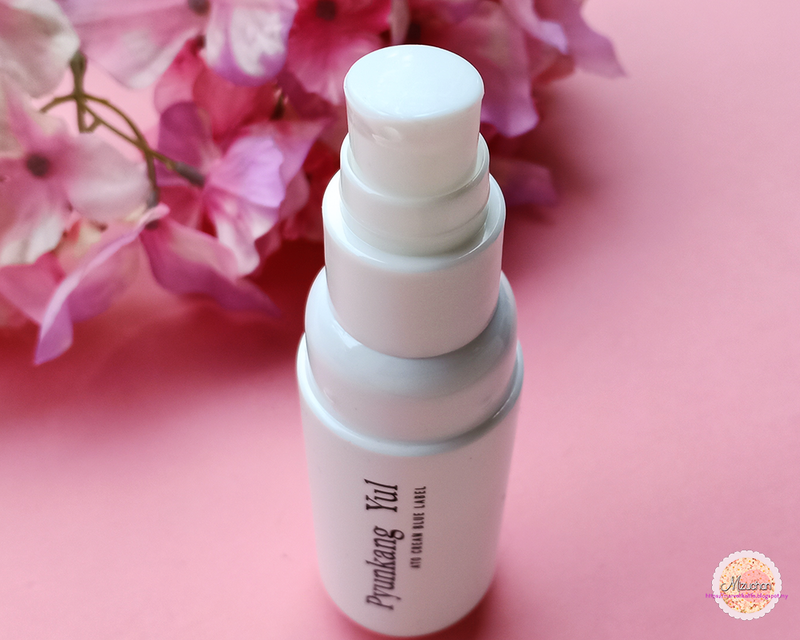 In terms of hydrating, I do feel like this lasts for the whole day and it doesn't feel that much of hydration when you apply it but then I don't see any dry patches throughout the day either so that is definitely a plus! 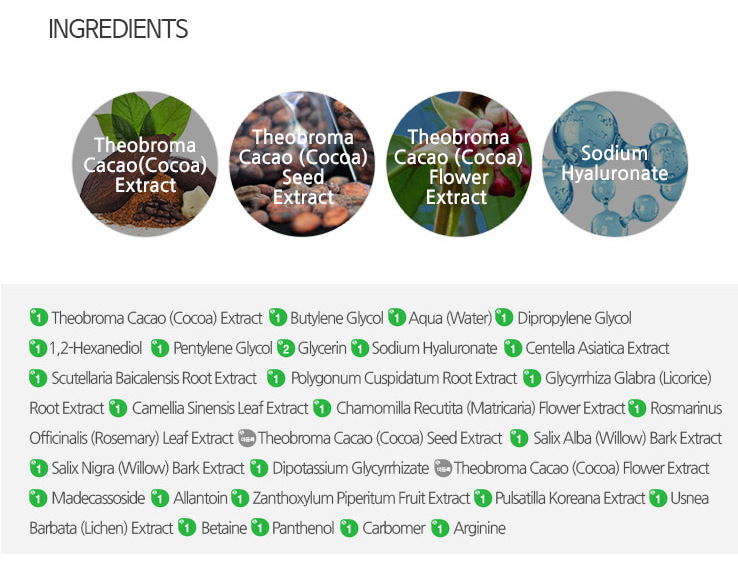 All the ingredients are level 1(green) according to cosDNA and you don't have to worry about putting this on your skin. On the plus side, this is also colorless and scentless!Hooray! Overall, I'm liking it! Surely not bias because this is an honest review although it was gifted by Benton. Definitely a great combo with the cream! 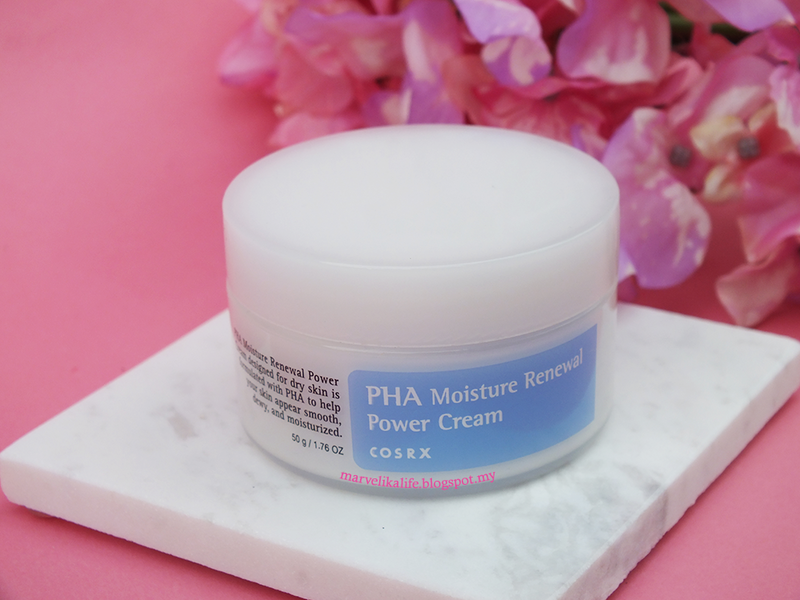 I'm a huge fan of COSRX and I'm sure many of you are too so when I saw they released this cream and I too were looking for a new moisturiser to try so I immediately grab this when it is available on eBay :D Ebay do have sellers who are selling this cheaper than a lot of online sellers and a lot of them are credible so I had no problem with trusting those shops. 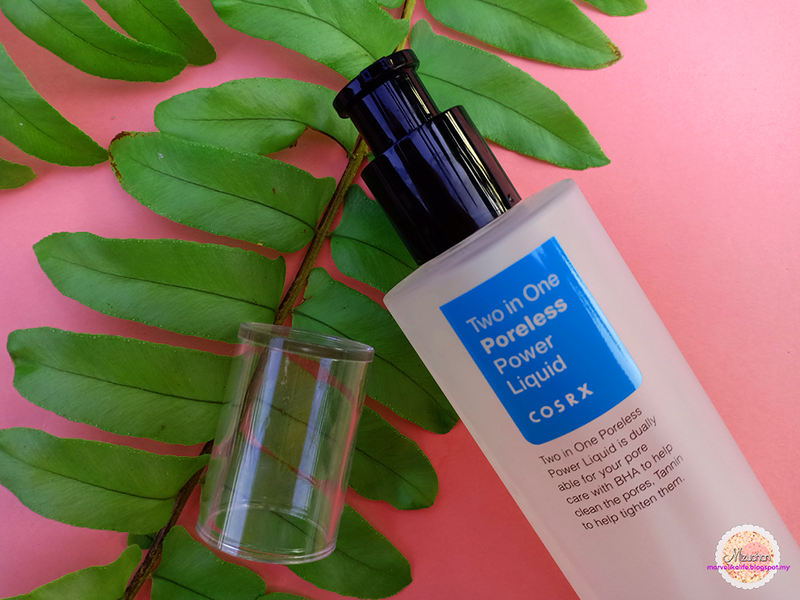 In two weeks, by free shipping, I received my product safely and as expected, it was as small as the COSRX Centella Blemish Cream XD I'm not sure how long is this gonna last on me because the Centella finish up pretty fast because it is only a 50ml product. 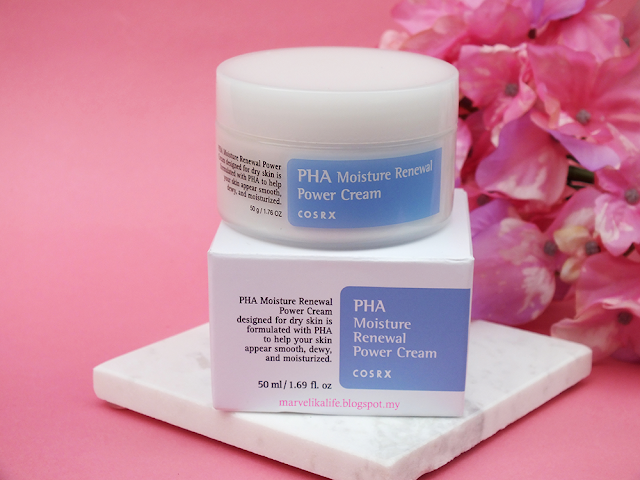 PHA Moisture Renewal Power Cream designed for dry skin is formulated with PHA to help your skin appear smooth, dewy, and moisturized. 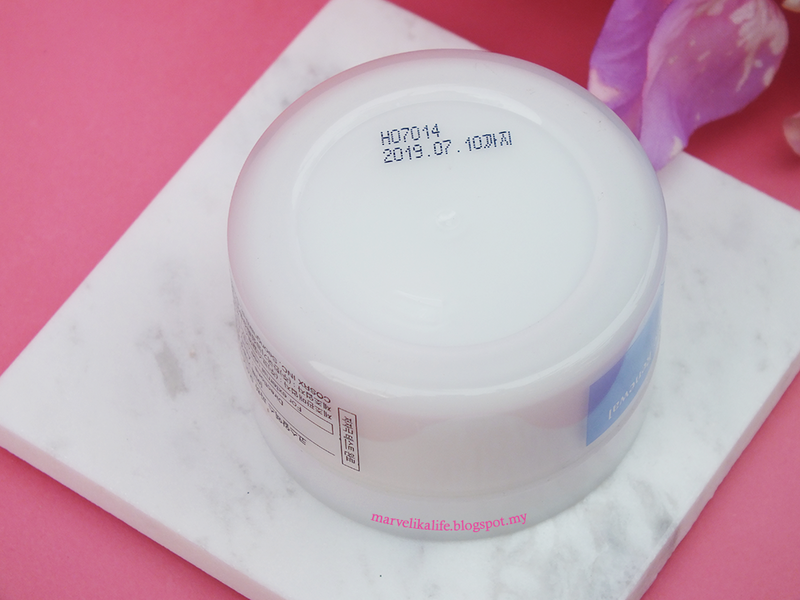 "Polyhydroxy acids, aka PHAs, are a third-generation of peeling ingredient that is just as effective, but less irritating than AHAs and BHAs. They promote a mild peeling by acting at a top surface level to smooth skin and improve overall tone. 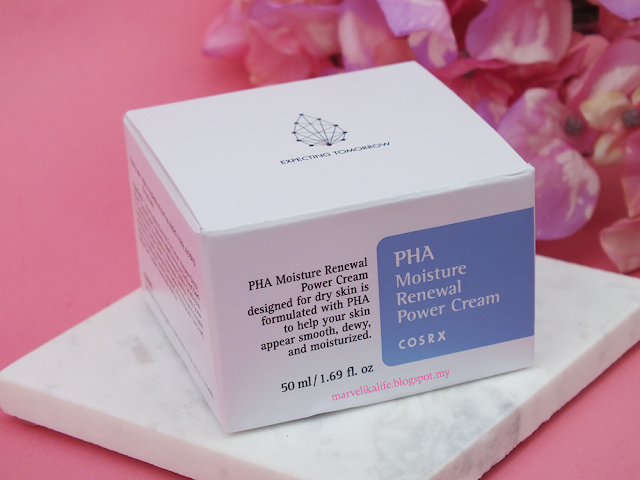 PHAs are also known for attracting moisture to prevent skin moisture loss while effectively exfoliating"
The great thing about PHAs is that, since they have larger molecular structures-which limits how deeply it penetrates into the skin-, they are more gentle on the skin, causing less irritation when compared to AHAs and even BHAs. 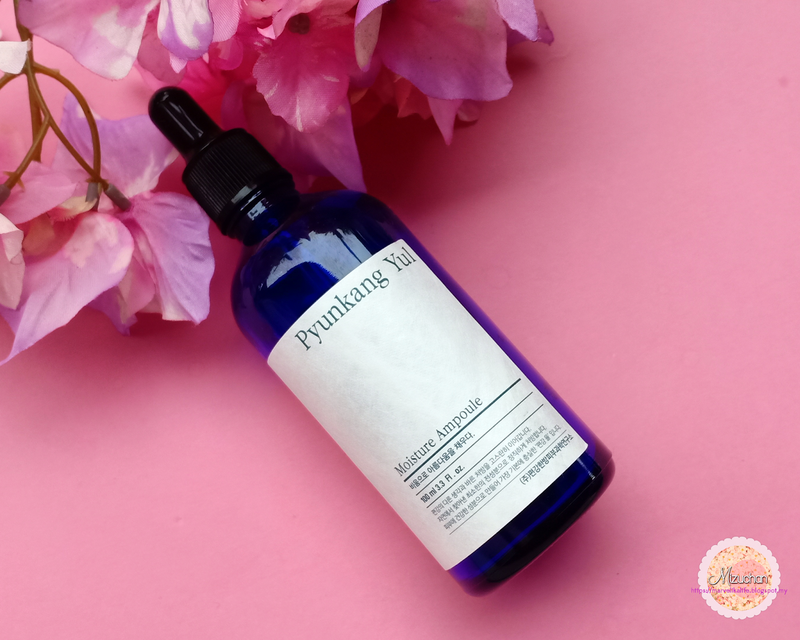 This characteristic makes PHAs great for every skin type, especially the sensitive ones. So if you tried AHAs and BHAs in the past and have noticed signs of irritation and redness, PHAs could be the perfect for for you. Along with being less likely to cause irritation, PHAs have anti-inflammatory and antioxidant properties. Plus, some PHAs, like galactose-which is a sugar used in collagen synthesis-can help skin heal faster. Other forms of PHAs include lactobionic acid, which is derived from lactose in cow's milk, and gluconic acid (or gluconolactone), an antioxidant acid that naturally occurs in cells. The cream itself has a silky and easy to apply on the skin. 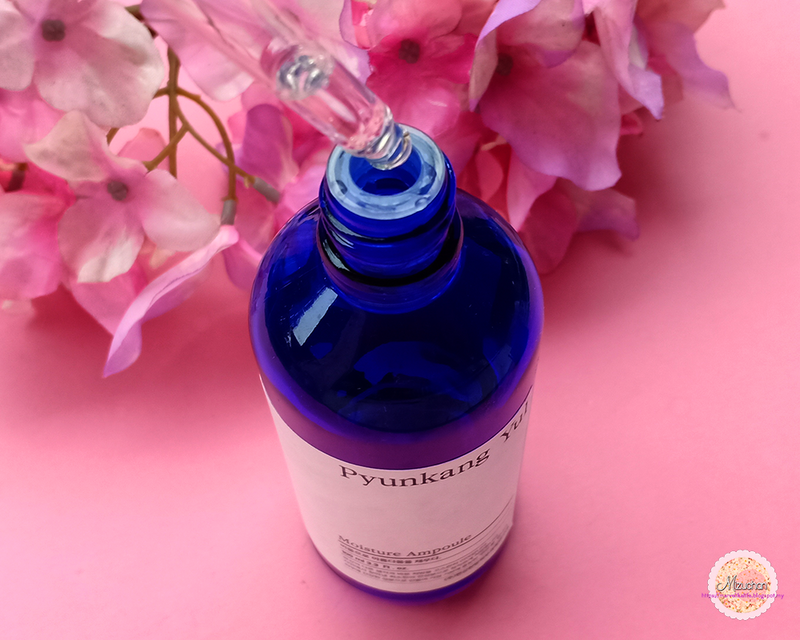 As it claims, it is definitely heavier because only just a little amount of it can supply ample of hydration to the skin. It was recommended that the cream to be used at night because it is heavier to be used on the day but it didn't matter for me. As nowadays I felt like my skin will be a little dry, so I use this day and night. It just the amount that I'm using on both times is different where I put a lot more at night and a little lesser of the day. One thing about the heavier cream is that it usually will cause me to have those milia especially under my eyes and I was also a bit skeptical about this. 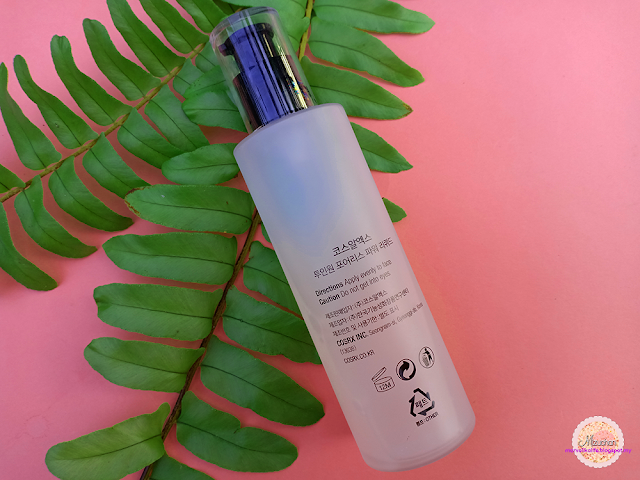 However, after using it for about 3 weeks, I didn't see any production of milia under my eyes or any parts of my face and that's a really good thing! The cream also had this natural coconut smell which I guess that is probably because they're putting 50% of the Cocos Nucifera Fruit Extract (Coconut) as the first ingredient. 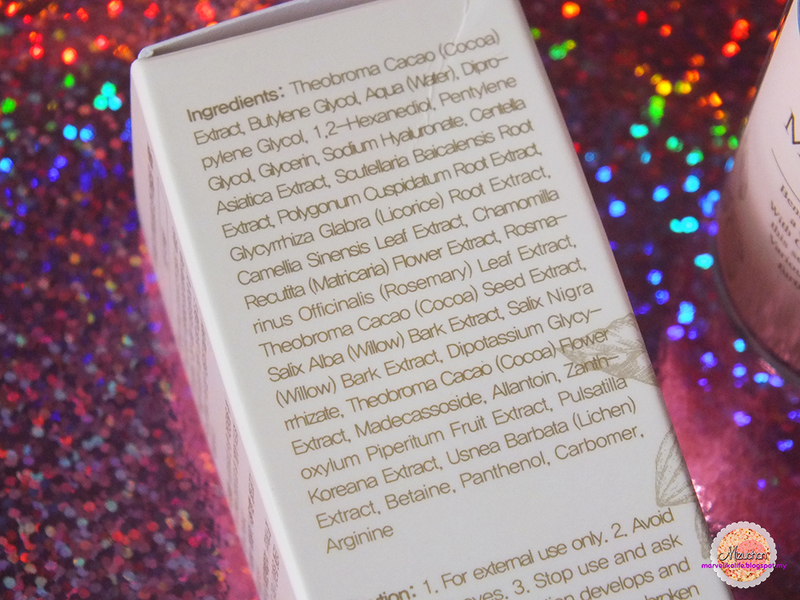 I would also like to clarify that this ingredient is not acne triggering as I've seen some blogger said. Don't confuse this ingredient with Coconut oil because coconut oil is the ingredient that you need to watch out when putting it on the skin because it can block your pores. Despite the absence of silicone in this cream, I don't find it suffocating my skin nor it entrapped the pores like a lot of creams do. I find this more breathable and hydrating at the same time. There are some days that I do feel that I have a slick of oil on my face whenever I woke up from the sleep and it probably had something to do with me trying those moisture-sucking cleanser or I just put a little too much of the cream the day before. Another reason is probably I don't wait until my skincare steps are properly applied so it will disturb the process of absorbing the next skincare steps.